Vango Nemesis Pro 300 tent: what is it? An expedition, trek and festival-ready weapon that's lightweight for its size, and versatile enough for most of the trips you're likely to want to do (unless you're a complete nutter, that is). Vango Nemesis Pro 300 tent: why do I need it? Everyone needs a tent, stupid. And this is a heck of a lot better than your average festival fodder. It's roomy enough for three, and positively luxurious for two, while its gothic arch-framed geodesic design provides great stability in all conditions (as well as a touch of added sexiness). As far as tech specs go, it's waterproof to hydrostatic head of 5000mm and has taped seams that'll stop those rogue drips you often get. It's also designed with you in mind: O-shaped inner doors are easier to unzip with one hand, and its two doors are better than one when you need to rush to the loo in the middle of the night. Vango Nemesis Pro 300 tent: should I buy it? How many cheap pop-up tents have you gone through over the years due to spilt beer and rainy weekends away? 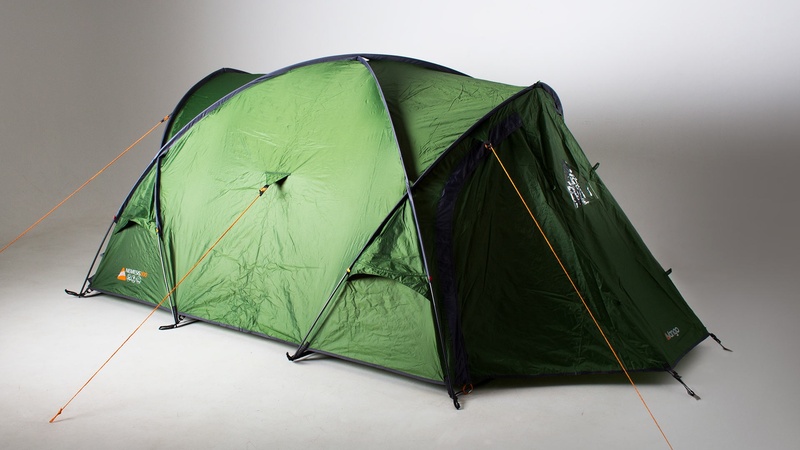 If the answer – as we suspect it might be – is a lot, then you probably want to buy this tent. While its price point is a little higher than your average tent, comfort is about quality, not the quantity of nylon and carbon fibre you're sending to landfill. Geddit?